Volente and Lime Creek Rd. 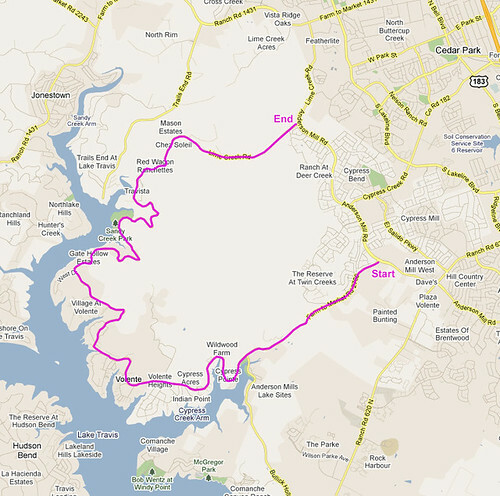 The ride to Volente and then Lime Creek Rd. 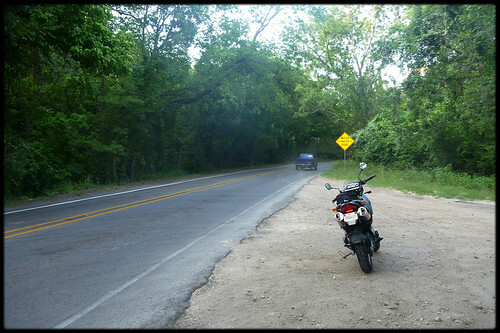 is popular among Austin motorcyclists, but on weekend mornings it’s the perfect time to ride. 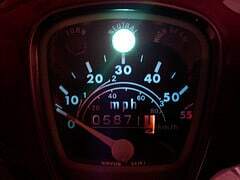 I saw two other motorcyclists and only a few cars. I did have one mishap though as I pulled over to take a photo. As I slowed to a stop on the dirt, my front tire slipped a bit and the bike leaned over too far for me to hold it, so I let it drop. A minute later, as I stood admiring my sleeping bike, a man pulled over to check to see if I was ok. He offered to help pick up my bike and I didn’t refuse. After the bike was upright, I snapped a photo and continued on. I enjoyed the first half of the ride, but then on Lime Creek Rd. I found that I didn’t really enjoy the super-tight hairpins. I guess I just prefer the wider sections where you can enjoy the scenery. Lime Creek Rd. empties out to Anderson Mill Rd. and from there I headed home for some coffee.